Earlier this year we went on a cider tour on the Olympic peninsula, and one of the ciders we got to try was a hopped one from Finn River that we quite liked it. Recently, we were offered a sample of another hopped cider from Woodchuck (see our samples policy to see what that means). We sensed a trend. 😉 Since we liked what we had tried of hopped ciders so far, we looked for and found a third one from the Portland Cider company. With three kinds of hopped cider in hand, we decided to taste them side by side to see what we thought of them, and then see which if any lent themselves to mixing up into a cocktail. First up, a tasting of all three ciders. Nose: Muscat grapes, apple blossoms, elderflower, citrus-y floral hops. Palate: Drier than expected. Starts with light, clean apple, followed by muscat and elderflowers. Mineral flavors on the mid-palate. Finishes with floral notes from the hops and a hint of bitterness. Very light, nicely balanced cider all around. We would recommend it as an alternative for a lighter white wine like a pinot grigio. The fresh apple flavor is notable when compared directly to the other two. Nose: Concentrated, slightly fermented apples, slight molasses. Hints of muscat and resinous hops. Palate: Very tannic green apple right at the front, followed by resinous hops and a very brief hint of molasses. Touch of floral at the end of the mid-palate and into the tart, dry finish. Apple and hops open up as it breathes. Tartest and driest of the lot, also has the strongest hops flavor. Nose: Apple, yeast, nice earthy notes, hint of resinous hops. Palate: Starts off with a tiny bit of vanilla, followed by dried apple and some bitter hop notes. Earthiness like pu-erh tea on the mid-palate that transitions into some slate-y notes. Medium dry finish with pine and orange peel notes from the hops. Has more of a cooked apple flavor compared to the others. Interesting that the two that use Cascade hops both have muscat and elderflower notes. All three are very tasty ciders, we approve of the way that the producers have introduced hops to their offerings. They each brought a different and interesting flavor profile. But would any of them be good in a cocktail? We felt the Hopsation and Hop’rageous were both lighter bodied and more delicate in flavor, so would be overshadowed in any sort of mixed drink and probably best enjoyed on their own. We felt the tannins and acidity of the Finn River Dry Hopped would stand up for themselves against other ingredients though, so we started mixing with it to see what we could come up with. 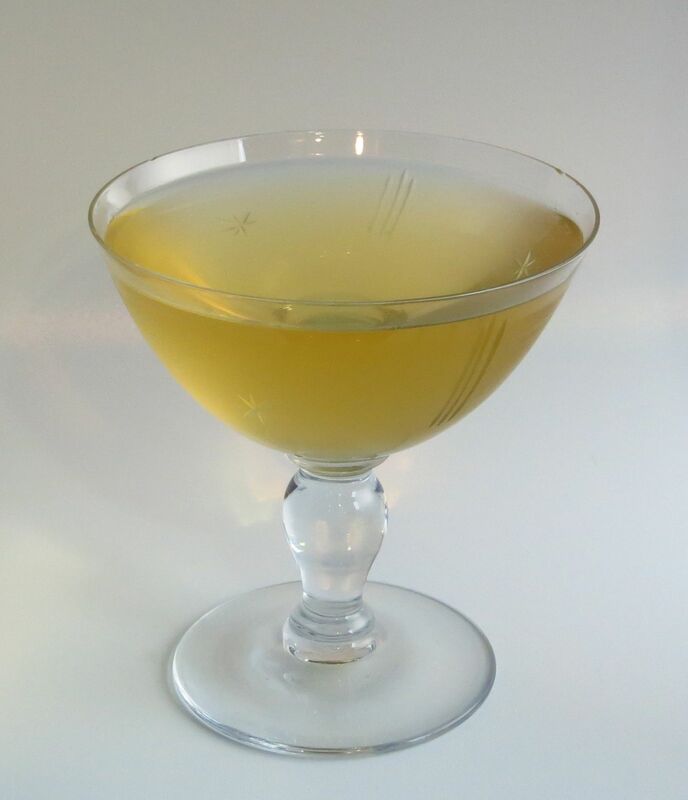 We started by trying the cider with a muscat grape-based brandy, thinking the floral flavors in the two would work well. But no, the resinous bitter notes from the hops really pulled the barrel notes in the brandy forward and made it taste woody. So then we tried a floral gin, and that was a much better match. Since the hops bring some citrus peel notes, we thought that an orange liqueur might be appropriate to round out the drink. We tried several, and while none were dreadful, none really made the drink light up either. So after some consideration, we tried some Barenjager instead. 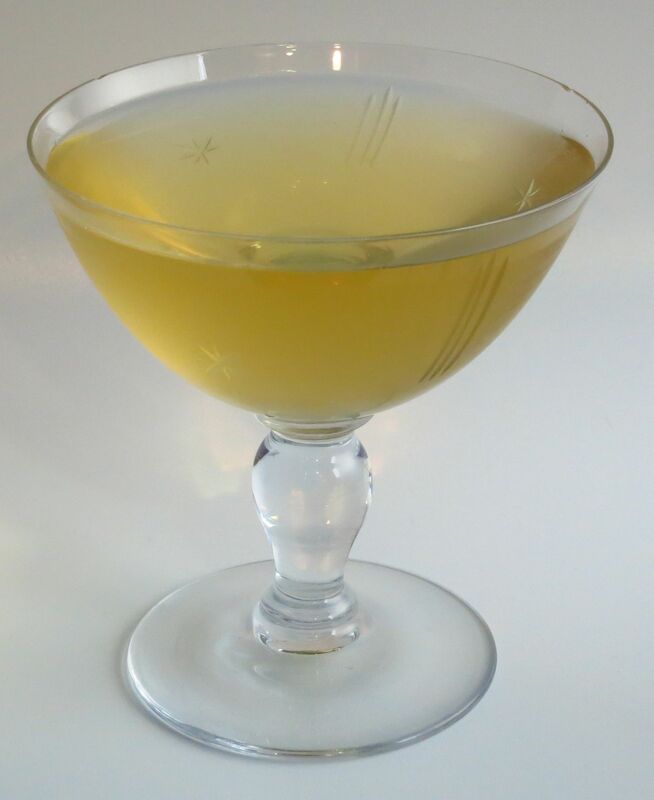 The slightly pollen-y honey flavor boosted the floral characteristics of the other ingredients and moderated the tannins and bitterness to good effect, producing a well-balanced but full-flavored drink. Nose: Muscat, roses, pine resin, orange peel. Little bit of honey and mint. Palate: Sweet mint and orange right on the front with a hint of pine resin. Floral muscat, rose, and elderflower on the mid-palate, then honey sweetness combined with hop bitterness. Really dry mineral and slate finish with some honeycomb notes. After it warms up for a few minutes, strong apple notes develop on the mid-palate in combination with the floral flavors. Hops are tasty, and it is too bad there are no hop liqueurs, at least not that we’ve seen. Fortunately, there are delicious hopped ciders to use in your cocktails instead. 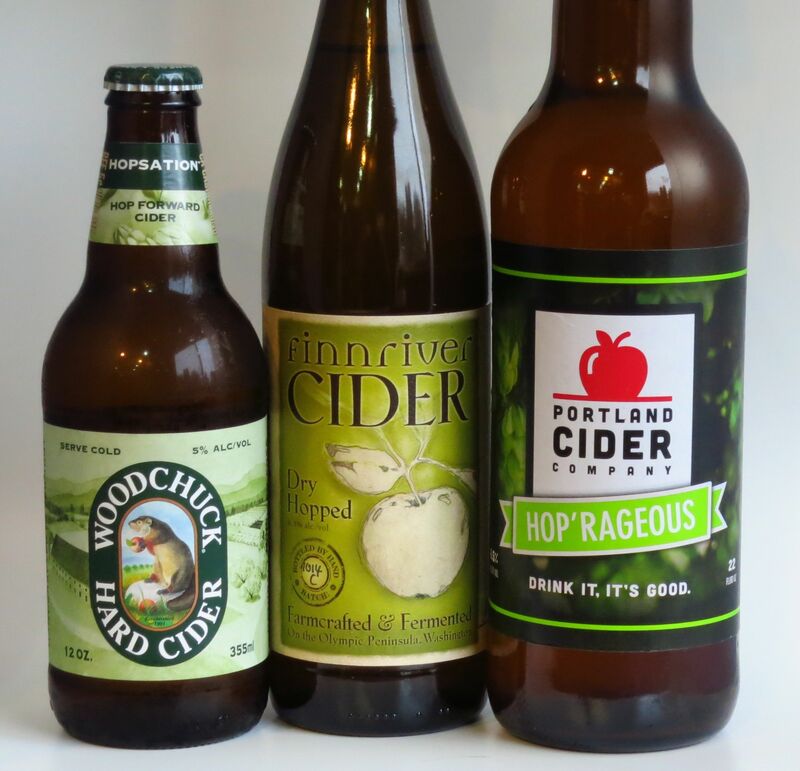 This entry was posted in barenjager, gin, hopped cider and tagged finn river dry hopped cider, portland cider company hop'rageous, woodchuck hopsation. Bookmark the permalink. Hey! Thanks for the great review of the Finnriver Dry Hopped cider. We’re so glad you enjoyed and we will share your link around for sure. Come on back someday! Our pleasure. Thanks for making a great cider.